Sgt. Newton Holt (1830-1885), was not wounded during his forty-two months of service in Companies H and I of the 1st Massachusetts Heavy Artillery, but his wife later affirmed that there was “no time between his discharge and his death that he was not more or less disabled” by the malaria contracted in the line of duty. He contracted the fever while on garrison duty at Fort Jackson, near Long Bridge in Washington, DC in August 1861, just a few weeks after the Andover Company’s arrival. 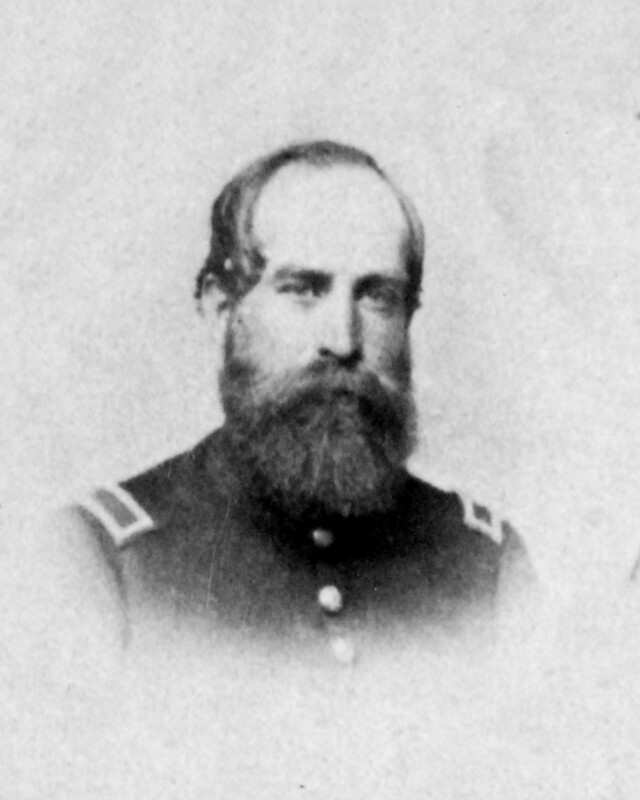 A subsequent attack in July 1864 caused army doctors, including Massachusetts Surgeon General and North Andover resident Brig. Gen. William J. Dale, to declare him unfit for duty. He was mustered out in November 1864. Holt married Sarah A. Haskell in Georgetown, Mass in 1870, but soon after moved to Fort Madison in Lee County, Iowa where his sister Abigail had married and settled. He worked as a foreman in the carpentry workshop of the Iowa State Penitentiary, but was forced by his persistent symptoms to abandon his position in 1877. The family, now including three children, moved to Kinsley, Kansas where Holt was listed as a county surveyor while receiving a disability pension. His cause of death in 1885 was “chronic malarial difficulty.” His wife and four children returned to Massachusetts after his death.